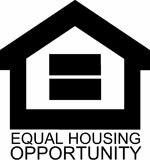 DC Habitat’s mission is to provide decent, affordable homes for hard-working, low-income families. The number of houses we build each year depends on the money we raise, and our corporate partnerships are critical to helping us close the gap for hard-working families across the District. We partner with businesses, faith-based groups, community organizations, and partner families to build brighter futures for local families and help them attain the dream of homeownership. We build homes year round and there are many of sponsorship levels to choose from! We hope you’ll join us to build a DC where everyone has a safe, decent place to live. When you become a DC Habitat sponsor, you're helping us create affordable homeownership opportunities for local families who live in cramped, unsafe, or unaffordable housing. 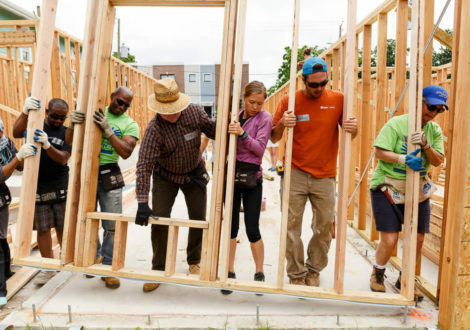 Every Habitat homeowner pays a low- or no-interest mortgage, property taxes, and puts in 200-300 hours of “sweat equity” labor helping build their home and completing financial literacy and homeownership classes before moving into their own home. We partner closely with our homeowners to ensure they will be successful homeowners who can build brighter futures and help their families to thrive. As a sponsor, you'll have the opportunity to participate in team building opportunities with your employees (why do trust falls for a day, when you can participate in a team-building activity where you actually build something! 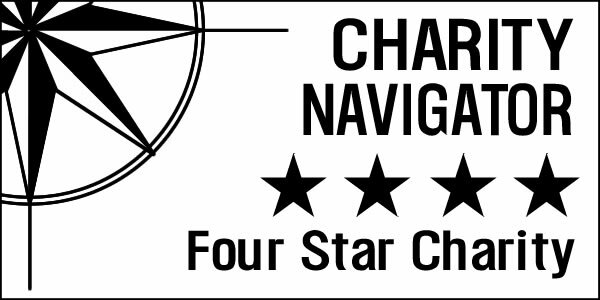 ); receive recognition for your support in press releases, annual reports, local publications, and signage; and attend home dedications where you'll see first-hand how you're making a difference when you watch families cut the ribbons on their homes. You'll also be strengthening your local community, making your neighborhoods better, and showing your commitment to an important cause. Ready to commit to a sponsorship? Want to learn more? We're happy to answer your questions, share more about what we do, and work with you and your company to build a custom sponsorship packet that meets your needs. Use the link below to send us a message, or contact our development team at 202-882-4600 x246. Our faith calls us to serve others, especially the most vulnerable in our community. 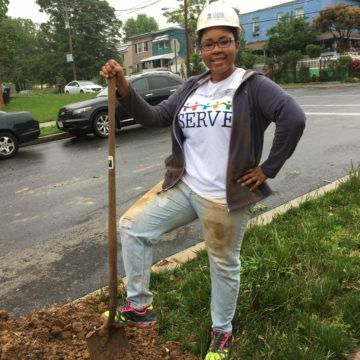 We truly value our partnership with DC Habitat, which involves providing critical financial support and providing teams of volunteers. 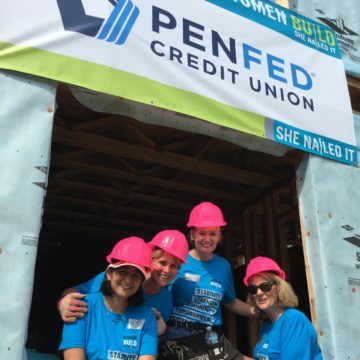 Our people have a chance to get their hands dirty building something tangible and life-changing—and they love it! 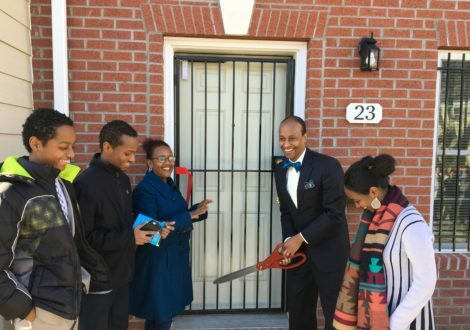 DC Habitat makes it possible for people who would not otherwise be able to afford homeownership to build a completely different future for their families in a safe, decent home. At Fannie Mae, we work every day working to expand access to affordable and sustainable homes – but we can’t do it alone. Partnerships, such as with Habitat for Humanity, are critical in our efforts to help families and communities. 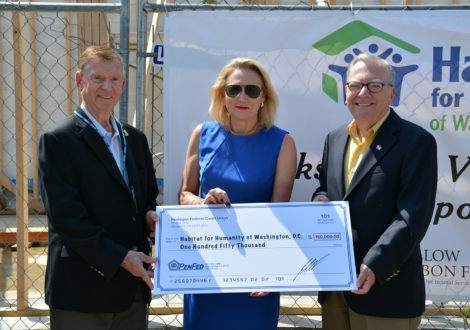 Habitat for Humanity of Washington, D.C. is a fixture in our community, making the dream of homeownership a reality for so many deserving families. It is an honor for PenFed to join and support them in helping our neighbors build a better life for themselves and their families.